2013: Discussion Question: Do you read every book in a series? 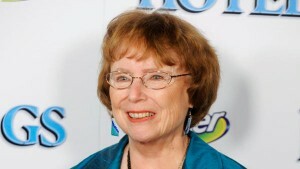 I was so sorry to hear of the passing of Lois Duncan this morning. She was one of my favorite authors when I was a teenager. I read Down a Dark Hall, Daughters of Eve, and Locked in Time over and over again. The books were so suspenseful and I loved the way she balanced supernatural activity with real-world worries and fears. Duncan's daughter was murdered in 1989 and the case was never solved. The devastating loss shifted her entire career. She stopped writing young adult fiction and began focusing on the crime. Duncan advocated fiercely for her daughter and other victims like her, creating the Resource Center for Victims of Violent Deaths. I really admire her courage in continuing to revisit this dark period in her life so that she could help others in similar situations. If you've never read one of her books, I urge you to pick one up and give it a try. She was writing young adult before the term even existed, and decades later I think many of her titles still hold up very well. 2009: Contest #8: Diggin' Up New Reading! Thank you IMDB.com for providing the movie plot summaries. Plot Summary: A girl in a small town forms an unlikely bond with a recently-paralyzed man she's taking care of. Plot Summary: A disillusioned Confederate army deserter returns to Mississippi and leads a militia of fellow deserters, runaway slaves, and women in an uprising against the corrupt local Confederate government. by Michael P. Ghiglieri & Charles R. “Butch” Farabee, Jr.
Every year, accidents lead to tragic deaths in America's national parks. In Yosemite alone, nearly nine hundred people have died through falls, drowning, exposure, or criminal activity. In this comprehensive account of Yosemite's history, Michael Ghiglieri and Butch Farabee catalog the many ways that folks have met untimely ends in Yosemite. Peppering the grim anecdotes are also tales of rescue and the extreme effort it takes to save a life in the backwoods and sheer cliffs of America's wild. The authors occasionally enter the narrative, as both men assisted in search and rescue efforts throughout the park. They bring authority and occasional dry humor to the gripping, horrifying collection of stories. This isn't a book for everyone. First and foremost, it's very sad. So many of these accidental deaths could have been prevents if visitors to the park would follow the instructions from rangers or posted on signs. A bit of common sense would have saved so many lives. Some thrill seekers make such appalling, poor decisions that it seems inevitable that they find a tragic ending, but that doesn't erase the lost potential of that life. But if you are fascinated by the macabre, by harrowing tales of midnight rescues in deep snow or dangerous maneuvers done by men who can barely see in the dark, then this book is so interesting. When the book was published in 2007, it contained every Yosemite death that the authors were able to find in old and contemporary records. The deaths are listed by type: there's a chapter for drowning, climbing accidents, vehicle accidents, suicide, homicide, and more. Many of the incidents are described with novelistic flair, recreating the final moments before tragedy struck. When a victim survives, excerpts from post-accident interviews are included to fully demonstrate the impact on their lives in the weeks, months, and years after their rescue. For those of you who trend toward squeamish, I thought I'd mention that excepting the skeleton on the cover, there are no photos of the deceased in the book. Each chapter is opened with a photograph or illustration of a Yosemite landmark or the park's wildlife, and that is it for illustration. Nothing terribly graphic. Interested in the subject but Yosemite isn't your national park of choice? I've seen variations on this theme chronicling deaths in the Grand Canyon, Yellowstone, Glacier National Park, and the Great Smoky Mountains. Poke around and I daresay you can find a few stories for any of the national parks. But I recommend this one. Ghiglieri and Farabee are a good team, capturing the drama and tragedy of each story, making tales that would be worthy of telling beside a campfire on your next adventure out in the woods. To read more about Off the Wall: Death in Yosemite, buy it or add it to your wishlist click here. Abigail Rook has begun to settle into her role as assistant to paranormal investigator R. F. Jackaby. Vicious shape-shifters that disguise themselves as kittens and ghosts living in the bedroom are all part of a normal day's work. Life with Jackaby is never dull or routine. When dinosaur bones are discovered in nearby Gad's Valley, Abigail is eager to visit the site and indulge her love of paleontology. Jackaby is disinclined to go until former police detective Charlie Cane writes the pair, asking them to investigate a mysterious animal that has begun attacking the animals and people living around the dig site. They oblige, and soon after setting foot in Gad's Valley are swept up in an intrigue of stolen bones, scientific rivalries, murder, and an impossible creature's return to life. One of my favorite things about Beastly Bones was the vicious competition between Owen Horner and Lewis Lamb. The characters' names are tribute to real-life fossil hunters like Richard Owen and Jack Horner, and the conflict between the two men is modeled on the behavior of 19th century paleontologists like Richard Owen, who is as remembered today for his ruthless self-promotion and brazen claims of discoveries others made before him as his contributions to the study of dinosaurs. In the book, their behavior seems so ridiculous for men of science, but that's how it was in the early days of this field. Owen and Lamb may not be able to get along with each other, but Abigail and Jackaby continue to be a powerful partnership. They work so well together, with Abigail's simple common sense, scientific background, and observation skills complimenting Jackaby's endless store of esoteric knowledge and experience with the otherworldly. Their relationship is also refreshingly platonic; although there is some romance, the young adult staple love triangle is avoided. Other relationships in the novel deepen, too. While the mystery of the events in Gad's Valley consume much of the book, we also learn more about Jackaby's resident ghost, Jenny Cavanaugh. Usually, she appears as a cheerful and beautiful woman, but we see a darker and sadder side of her now. Jackaby describes it as an echo, when a spirit becomes unable to move beyond their final moments. Abigail frets that Jenny may become trapped in this echo state, but they cannot help her until the ghost is willing. A Victorian atmosphere, ghosts, and dinosaurs...how could I not love this book? It's got all of my favorite things in one neat package. Even better, Ritter handles each of these elements well, bringing them together for a story that's creative, fun, and full of surprises. The third book in the series, Ghostly Echoes, will be released towards the end of summer. I can't wait. To read more about Beastly Bones, buy it or add it to your wishlist click here. Sixteen-year-old Gwen Darling has protected her brother and sister ever since their parents were killed when bombs were dropped on London and a horrific plague unleashed. Each day they scavenge the ruined city and try to avoid the German soldiers who call themselves the Marauders. Under the command of Captain Hanz Otto Oswald Kretschmer, the Mauraders kidnap survivors and use them for desperate experiments to find the cure to the plague that claimed the lives of most adults and will eventually kill everyone else. When they take Gwen's sister, she is determined to get her back. As she sets out to pursue the soldiers, she stumbles across a boy named Pete who leads a gang of children in defiance of the Captain and his men. Pete agrees to team up with Gwen to recover her sister after realizing that she has something he needs very badly to save his family of lost boys. I really enjoyed this steampunk spin on J. M. Barrie's classic Peter Pan. It's a darker, grittier story set in a dystopian London that has been re-named Everland. Instead of a magical island accessible through pixie dust flights, Everland is a bombed-out shell cut off from communication from the rest of the world. Anyone who was there when illness broke out died or are now unable to leave, and it's unknown what the fate of the rest of the world has been. It's also unclear just when this story is meant to take place. The fact that the German empire has invaded England makes me think it's set right around World War I, a popular era for steampunk stories, but Gwen acts so contemporary and modern that I thought she might be in the not-so-distant future. The complete lack of any version of Internet or cell phones makes me throw the story back into the past, but maybe it's just an alternate world that doesn't quite line up with anything. Some characters remain very recognizable. Bella may no longer be a fairy, but she zips through the air thanks to steam-powered wings. Gwen and her siblings share the closeness of the original Darling children, though Gwen is far more active than her Edwardian counterpart. Individual Lost Boys may only get a few pages of story time, but their personalities shine in even brief appearances. But other characters are dramatically different. Captain Hook has transformed into a prince of the German Empire. Instead of a grown man, he's just another boy roughly the same age as Peter Pan. I have to admit that I didn't care for some of the changes to his background and story, but the core of Hook, that callous and bloodthirsty nature mixed with a frustrated childishness, is definitely at the heart of this character. One little change that I really liked was a change to Tiger Lily's ethnicity. Instead of a Native American, she's been recast as South Asian. After all, we're in London, not a fantasy island in the sky. It makes far more sense that Lily wears a sari, not buckskins and feathers, as she leads the Lost Boys through London's secret underground tunnels. Everland has some great plot twists and leaves the ending open for a sequel. (In fact, the author has confirmed that the book is the first in a proposed trilogy.) I love the world that Wendy Spinale has created and I'm looking forward to seeing where Gwen, Pete, and the Lost Boys go next. To read more about Everland, buy it or add it to your wishlist click here. Abigail Rook arrives in New England determined to make it on her own. The young Englishwoman immediately seeks employment, but the only job available is assistant to R. F. Jackaby, supernatural investigator and resident town weirdo. Jackaby agrees to take on Abigail after realizing her observation of mundane details neatly complements his own skills. On her first day, Abigail and Jackaby are confronted with a serial killer who drains his victims' blood. The police want nothing to do with Jackaby and his tales of extraordinary, supernatural killers, but if he and Abigail can not identify the person responsible he will surely strike again. If you're looking for a strong-willed and entertaining heroine, Abigail is your girl. Born to a life of privilege in England, she abandoned it to excavate bones on a paleontological dig. When that project abruptly ended, Abigail sailed to America rather than return home to her parents and a more conventional life. Abigail is smart, funny, and modern – yet she's unusual, not impossible. She's a natural successor to spunky protagonists like Jacky Faber and other female adventurers. Familiar with stories of Sherlock Holmes, she initially assumes Jackaby uses Holmes' rational deduction to figure out the secrets hidden by the residents of New Fiddleham. R. F. Jacaby's intuition stems from a far more mysterious place, as he can see and hear that which others cannot. He shrouds himself in mystery and even Abigail can rarely penetrate the facade. Their conversations are so much fun as Jackaby skillfully evades answering Abigail's questions. There is so little revealed about his character. Now that I'm thinking about it, I'm not even sure how old Jackaby is meant to be. Abigail describes him as a young man with eyes a hundred lifetimes old, but she definitely doesn't give the impression that they are contemporaries. The mystery of the serial killer is one of the weaker aspects of the novel, in that the identity of the murderer is telegraphed early and frequently. Most readers will solve the mystery far puzzle than the two detectives – well, detective and his assistant – which makes Jackaby and Abigail seem a bit slow on the uptake. But the strength of the book rests not on the plot but on the characters and their interactions with each other. Abigail and Jackaby, Jackaby and his testy relationship with the local police officers, Abigail and a cute puppy dog of a policeman who helps the detectives on the case...the relationships between all of these characters add up to a fantastic, rich world that is utterly delightful to visit. I'm glad that I discovered this series rather late because I don't have to wait for the sequel, Beastly Bones. I want to go back to New Fiddleham as soon as possible to learn more about the mysterious world of R. F. Jackaby Investigative Services. To read more about Jackaby, buy it or add it to your wishlist click here. Plot Summary: Political interference in the Avengers' activities causes a rift between former allies Captain America and Iron Man. Plot Summary: A well-known reporter becomes involved with a mysterious and seductive woman while trying to find the truth about her husband's death. 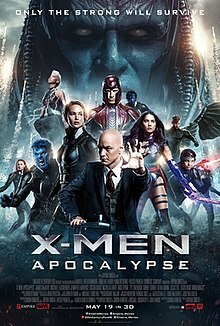 Plot Summary: After the re-emergence of the world's first mutant, world-destroyer Apocalypse, the X-Men must unite to defeat his extinction level plan. Plot Summary: Alice returns to the whimsical world of Wonderland and travels back in time to help the Mad Hatter.